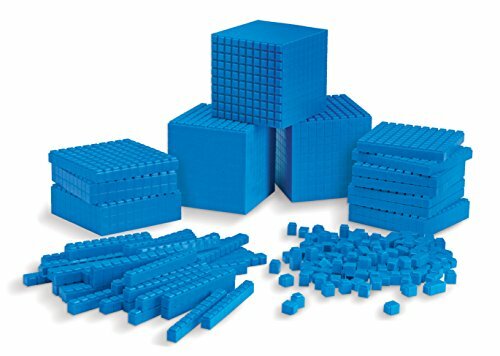 This unique classroom set of interlocking base 10 pieces can be used for a wide variety of math instruction. Great for whole-class instruction, small groups, centers or individual exploration. 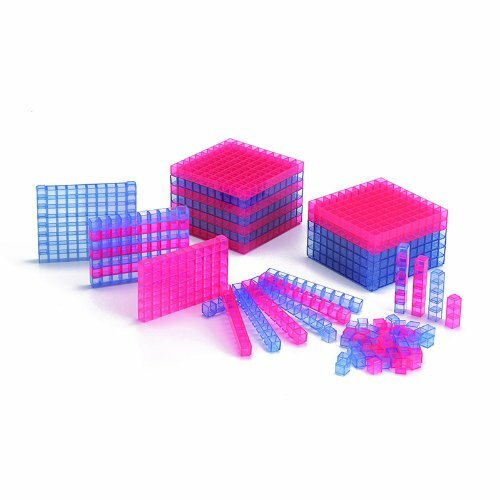 Boxed set features 600 units, 200 rods, 20 flats, and 3 cubes. Plastic set is washable and durable for years of hands-on activities. 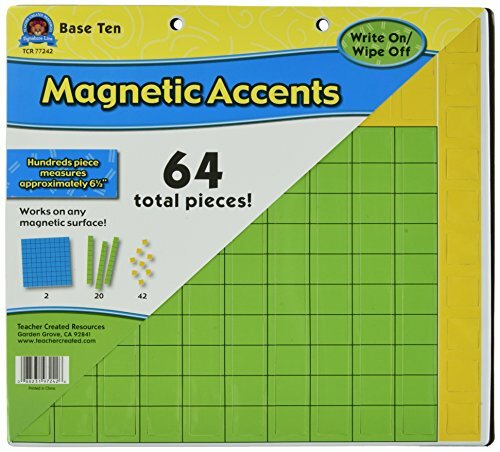 Decorate and educate with durable, reusable magnetic pieces. Add flair to any magnetically receptive surface such as doors, desks, shelving, and bins. Base ten blocks ( base 10 ) is very good way to teach students place value. Addition , subtraction, multiplication & division. 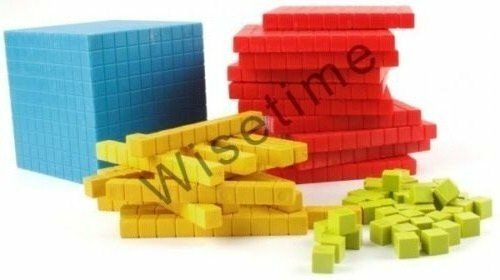 Students get much better understanding of concepts when they hands-on exercise using base ten blocks. 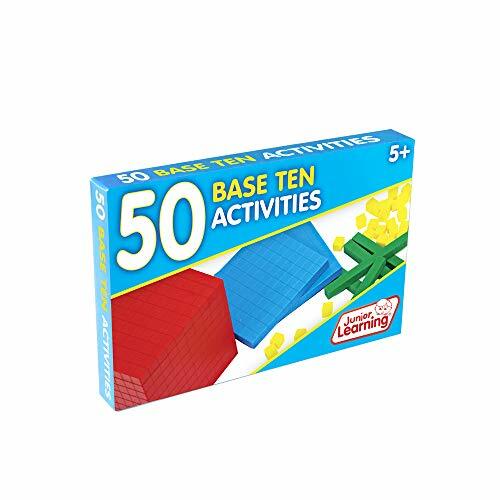 50 base ten activities is a set of 50 double-sided activity cards for teaching math skills with base ten blocks. Topics include: counting, subtilizing, problem solving, ordering, grouping, Ty numbers, place value, Estimation, addition, trading, subtraction, doubling, halving, multiplication, Squares, division, remainders, Prime numbers, measure, volume, surface area, percentages, decimals and factors. The front side provides teaching objectives, resources used and procedure. The other side provides visual examples. 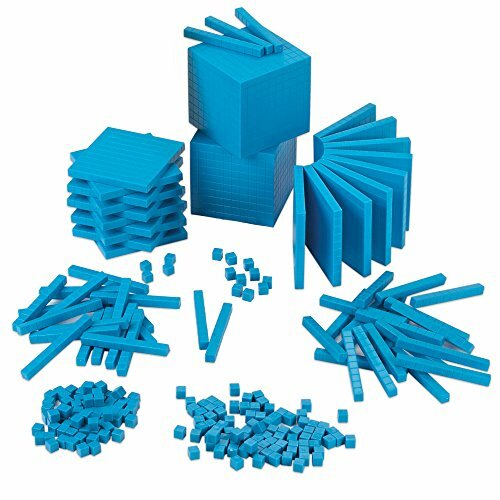 Math manipulatives used effectively throughout and presented in clear photography. Contains 50 double-sided activity cards and a contents card that can act as a check off list. Transparent base ten allows the teacher to use the three dimensional units, rods, and flats on the overhead projectors. Student can better understand the decicube concept of being made of one thousand units. Starter set, includes 100 units, 30 rods and 15 flats, boxed. 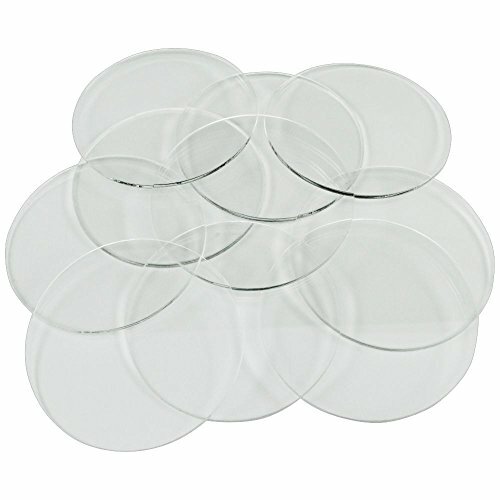 60mm circular bases in clear plastic. Add a clear sense of style to your favorite miniatures and let the ground or game board show through with our crystal clear bases. 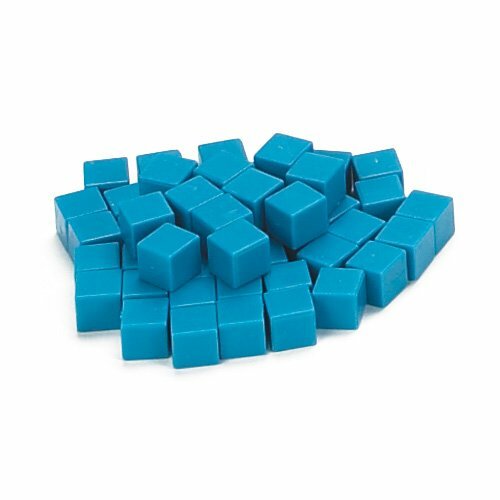 These plastic Blue Base Ten Blocks provide concrete models that give meaning to place value and operations of whole numbers decimals and algebra concepts. Set of 1000. Each unit measures 1cm x 1cm x 1cm. Packed in a jar. A kindergarten math lesson on teaching place value using giant base ten blocks! This is an introduction to the base 10 system for whole numbers. Numbers are explained and built using blocks to represent place value. This video is targeted for grade 2 and 3 math studies.